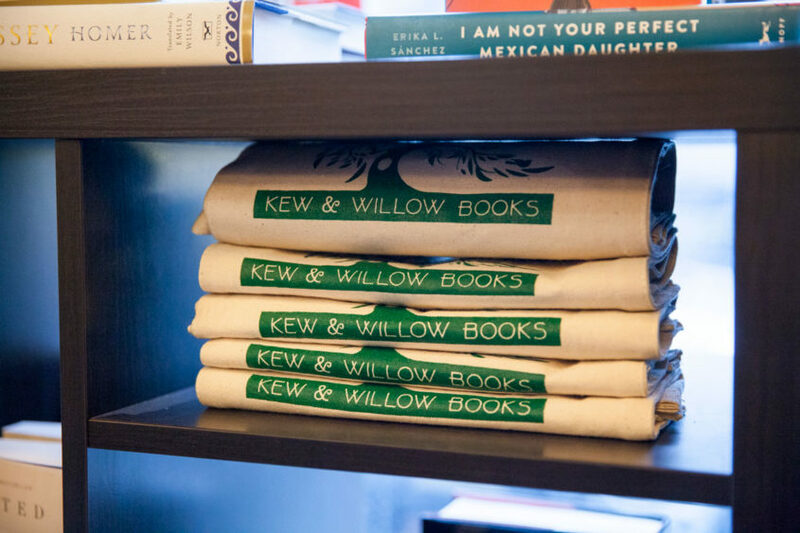 Meet the Queens, New York-based booksellers who brought indie bookstore Kew and Willow to life after a successful Kickstarter campaign. So tell us about Kew and Willow. What’s it like here? What’s special about it? 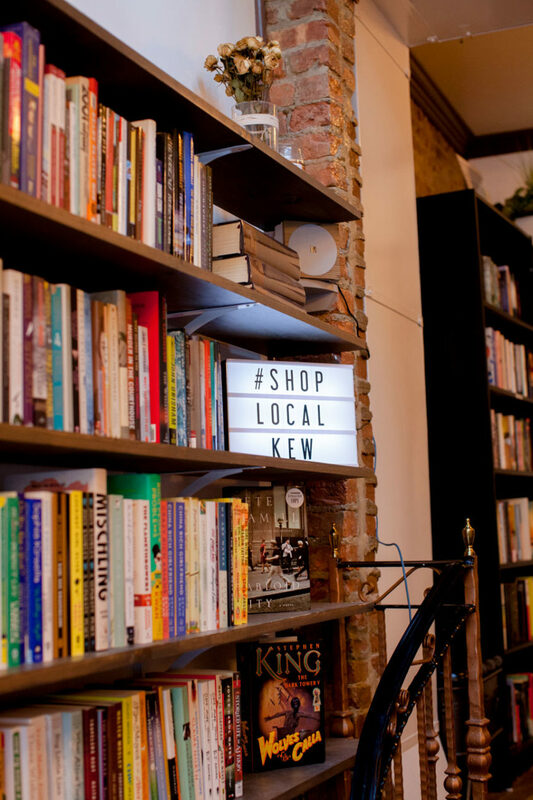 Vina: What’s special is that it’s the first bookstore in three decades in the Queens neighborhood of Kew Gardens, and it’s also a crowdfunded bookstore. Kickstarter is the reason that we’re here. It was a community effort to put this together. We have a local artist who did our mural in the kids’ section, and our logo was done by a local artist as well. Everything was done by us. The shelves were painted by me. So it’s a very personal touch. It’s tiny, but we try to make it very special. How did you all know each other? Vina: We met while working at a Barnes & Noble in Forest Hills, Queens. The reason that this bookstore came to exist was because Barnes & Noble closed down all their bookstores in Queens. That left only one bookstore in the whole borough, which is crazy compared to Brooklyn, where there are 13 or 14 independent bookstores! So we were left with one, and we decided to just open our own. And how has the community responded? Vina: They’re awesome. They come in just to say thank you that we chose to be here, which is really sweet. They’re rooting for us. Where does the Willow in Kew & Willow come from? Vina: Kew is for Kew Gardens and Willow is for the Whomping Willow in the Harry Potter books. I’m a huge fan, so we had to fit in Harry Potter somehow! Vina: I’ve been a reader ever since I was little. I went to school for English and publishing, so I saw myself working with books in any capacity. 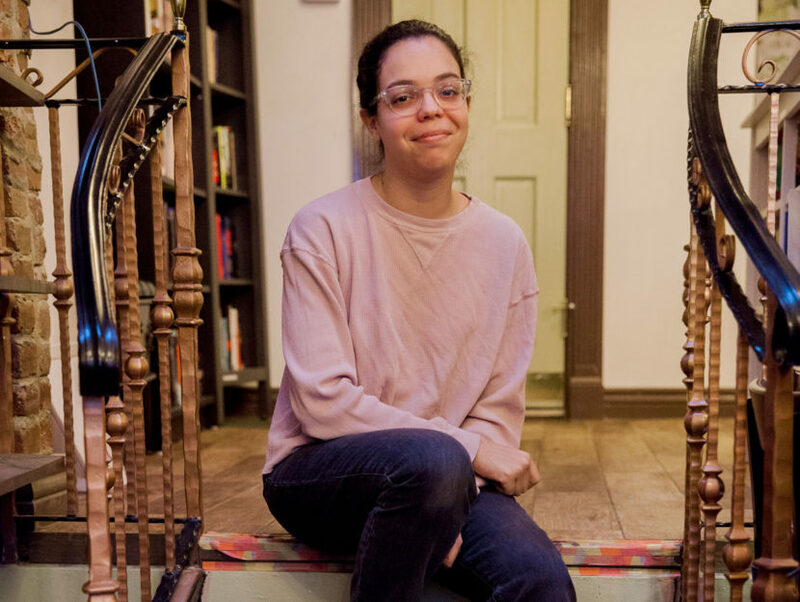 I tried publishing, and then I got a job at the Barnes & Noble in Forest Hills, and I felt that I enjoyed handselling and recommending books to people more. That’s how I started. Holly: I fell into it. I’d been working retail for a while and loved to read so a friend told me about a position that was opening at Barnes & Noble. Turns out it was a great fit! What do you love about handselling? Vina: It’s just the satisfaction of someone coming back and saying that they loved it. That makes me very happy. It’s the reader-to-reader connection that’s really special. I love sharing people’s passion for what they’re reading. What challenges have you encountered with opening the bookstore? Holly: Keeping up with all the new titles (even old titles) to remain well-read is super challenging. Vina: We were a little nervous about the small size, so we tried to curate and make sure that each section is portraying what we want and targeting the audience that we have. It was a little tricky to lay it out, but it’s working out so far. And the children’s section is something we’re really proud of. Yeah, it’s adorable. Does that fireplace work? Vina: It does work! We were lucky. Do you do events here? Vina: Yes, we have poetry readings, storytelling, and book launches. Storytime is on Saturdays at 2:00 PM, and we have authors come in and read for the kids as well. What’s the biggest surprise for you, of bookselling or owning a bookstore? Holly: I think every day is a surprise. I’m always surprised at how excited people are that we exist; I didn’t expect such a little store to make such a big impact. Vina: I would say that the relationship between a reader and a bookseller is a friendship. When I recommend a book to someone, I always say “Please come back and let’s talk about it.” And it’s this expectation of continuing a relationship with someone that I find very special. Holly: Handselling is key. People will sometimes come in with newspaper clippings from book reviews asking for specific titles, or maybe a book is making huge headlines and everyone must have it, but often the real connections are made when you’re suggesting a book they’ve never considered before. Be passionate about what you’ve read and genuinely admit to customers when you don’t know something about a book. People appreciate the honesty and enthusiasm and you’ll become a trusted source when someone is looking for book recommendations. Also, listen to what customers are asking for. Sometimes a customer will recommend a book right back to me. I read it and then turn around and suggest to someone else. It builds a conversation. Vina: I’m really liking the picture books that are feminist and for the resistance. There’s even a Feed the Resistance cookbook. A lot of people are coming in for that one. And then we have the children’s book A is for Activist. Goodnight Stories for Rebel Girls is very popular. So I’m really liking that trend right now. Holly: I’m definitely starting to see an expansion of authors and subject matter. By that, I mean, I feel the book industry and the buying public are seeking out more literary voices from people of color, women and other marginalized people writing everything from fiction to memoirs to social science titles. 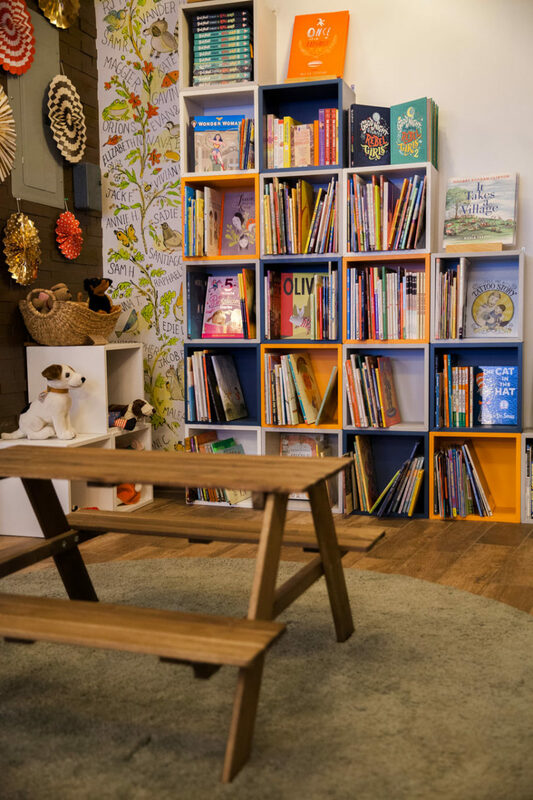 Also, it might be because we’re now part of this little independent bookstore bubble, but I feel the industry is starting to recognize the importance of privately owned, small neighborhood bookstores. 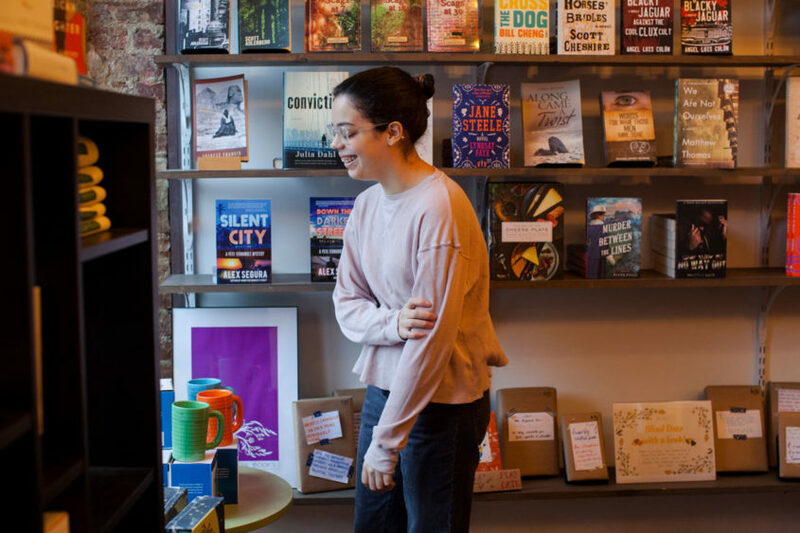 Publishers are setting up new programs to support indies because those little shops are where the connections to the public and the real handselling happen. 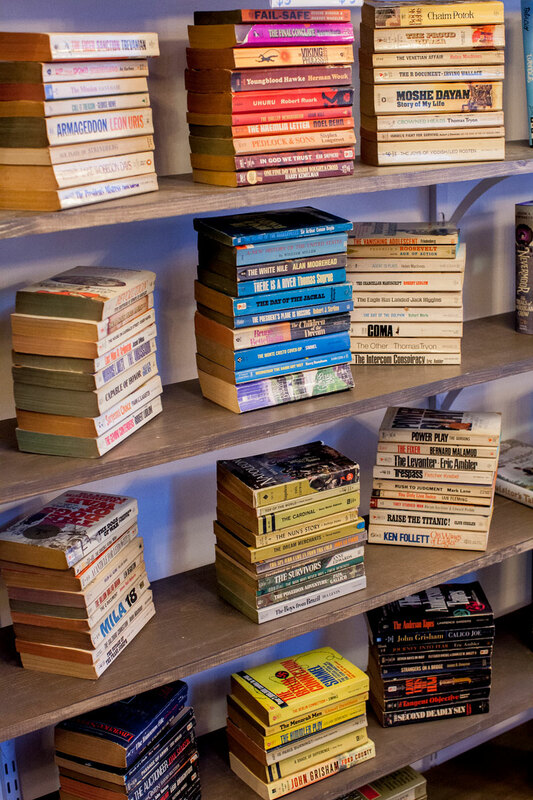 In a perfect world, the future of bookselling is small, independent and personal. Vina: I always recommend books by Donna Tartt. The way she writes is just so beautiful and intricate. I always handsell The Secret History. I enjoy Extremely Loud and Incredibly Close by Jonathan Safran Foer. A Little Life was heartbreaking and super long, but so good. Zadie Smith is awesome. Vicious by V.E. Schwab is a really fun read. We Were Eight Years In Power, and any other book by Ta-Nehisi Coates is awesome. 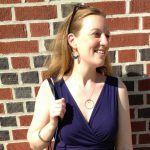 Holly: Favorite books are hard to pinpoint, but I always find myself suggesting graphic novels or science fiction and fantasy titles. I especially love the authors Adam Gidwitz, V.E. Schwab, Marissa Meyer, Barbara Kingsolver, Neil Gaiman, Mark Danielewski and Grady Hendrix. I absolutely LOVE recommending The Clothing of Books by Jhumpa Lahiri to our customers. It’s a small chapbook, basically, a printed and published edition of a speech she gave about the importance of book covers and the author’s relationship to how their work is presented visually to the public. It’s the perfect think piece that every book lover should give some time to. Vina: Right now I’m reading A Gentleman in Moscow; that one’s good as well. Holly: I just finished the graphic novel Laika by Nick Abadzis. It’s about the little dog that the Soviet Union sent into space in 1957. It broke my heart, even already knowing her story. I’m not sure what my next read will be yet. I know you’ve talked about the size of the store. If you could expand it, what would you add? Vina: An event space. Because it’s nice that it’s cozy, but we want to fit more people in here. What, if anything, would you be doing if you weren’t bookselling? Vina: Publishing? Or if it couldn’t be with books specifically, maybe teaching? But hopefully just this. Holly: Probably slaving away at a less fulfilling retail job. Or, in the best of all possible worlds, playing with my dog. Vina: We’re just grateful for the support, and for the Kickstarter that made this possible. And we’re here every day except Mondays!